The following is available (with additional links) from http://www.nwfwmdwetlands.com/index.php?Page=30), North Florida Water Management District. 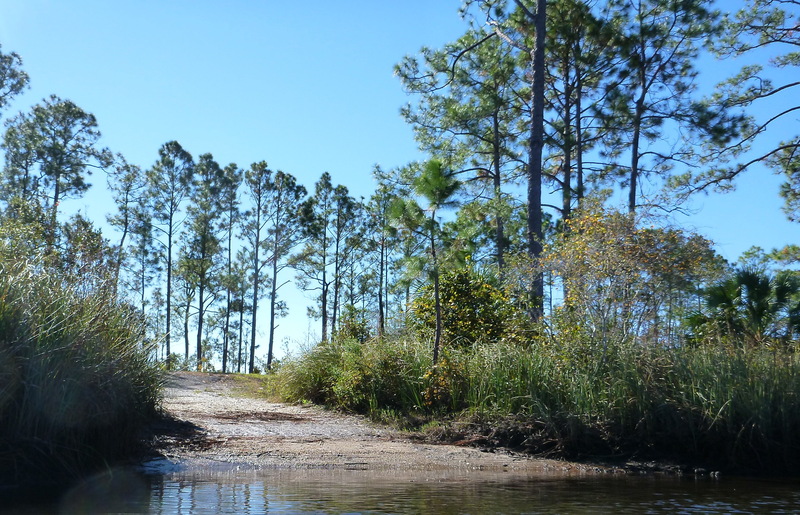 Tates Hell State Forest encompasses nearly 208,000 acres in Franklin and Liberty counties, Florida. 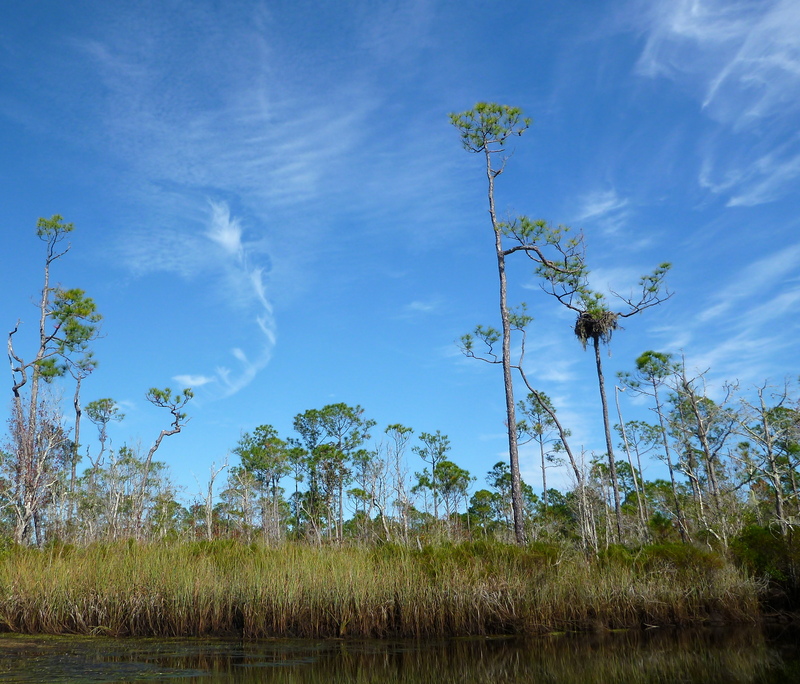 This area was once a swampy mosaic of wet prairies, cypress sloughs, Atlantic White Cedar forests and other wetland and pine flatwoods communities. 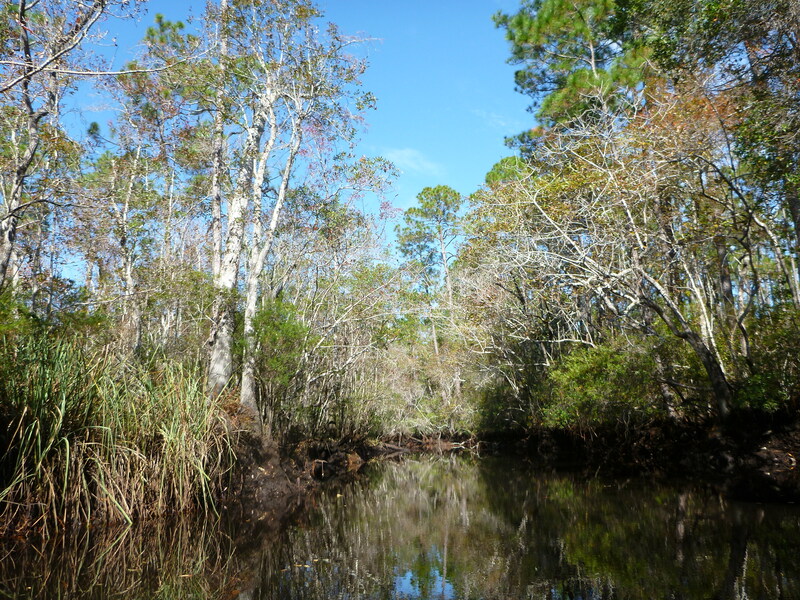 Near the coast, habitats also include fresh and saltwater marshes and sand pine scrub. Large-scale silvicultural operations during 1960s through l980s converted extensive areas of native habitats to slash pine plantation. More than 800 miles of roads were constructed to support logging operations and ditches were excavated along most roads to provide road-fill material and drain adjacent wetlands. 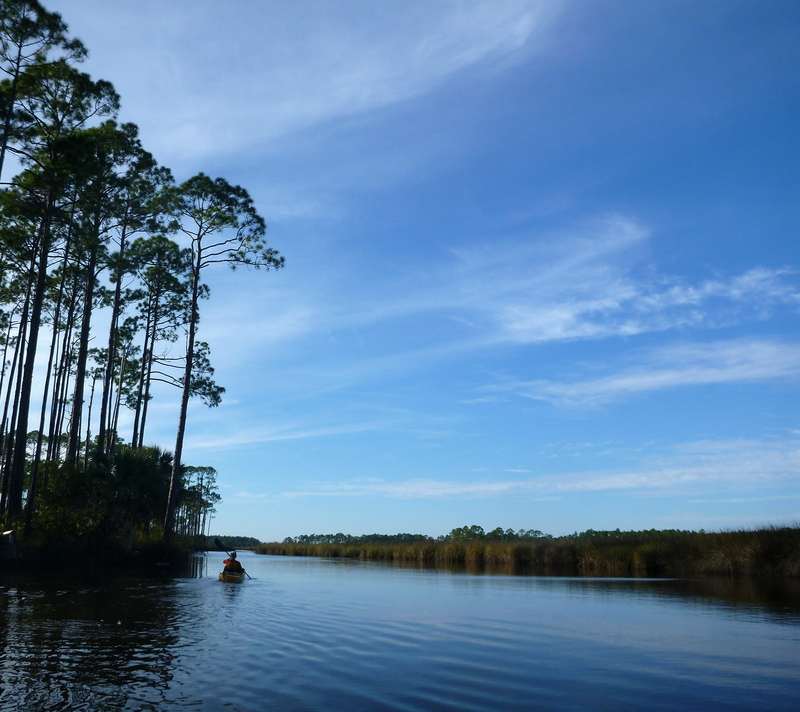 These activities have adversely impacted the hydrology and ecology of historic vegetation communities and affected the magnitude, timing, and quality of surface water runoff discharged to the Apalachicola Bay system. 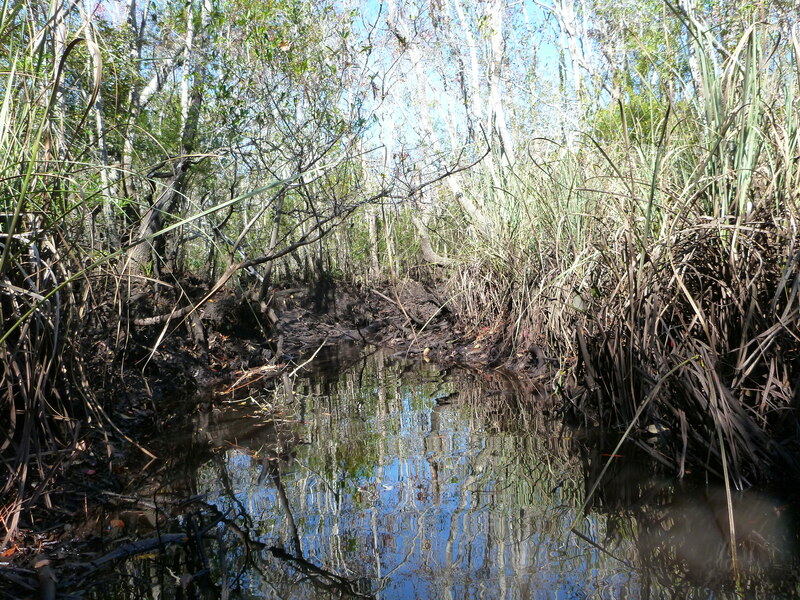 In 1994, the State of Florida began purchasing the property from timber companies with the goals of improving the quality of surface water runoff discharged from the site to the Apalachicola Bay system, re-establishing historic surface water drainage patterns, and restoring wetlands ecosystems. 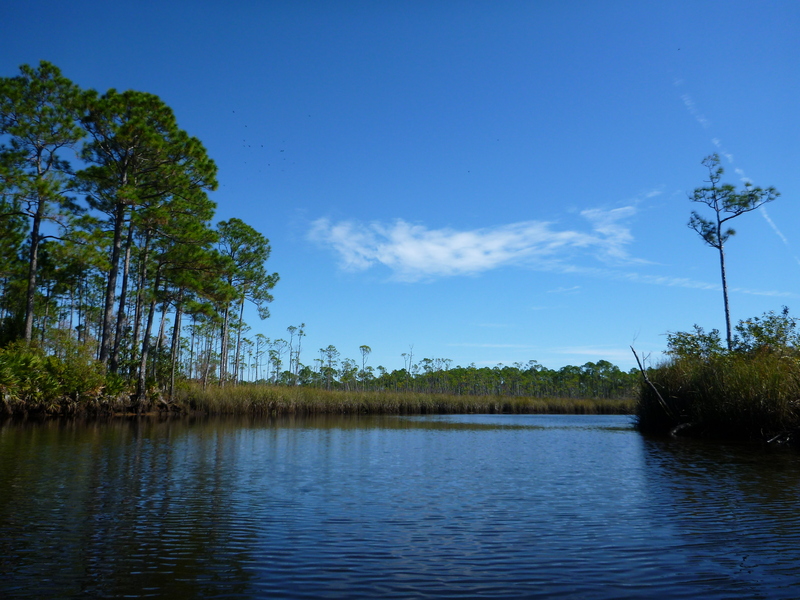 The Northwest Florida Water Management initiated the land acquisition process with the $3.5 million purchase of the Glawson tract in 1994. 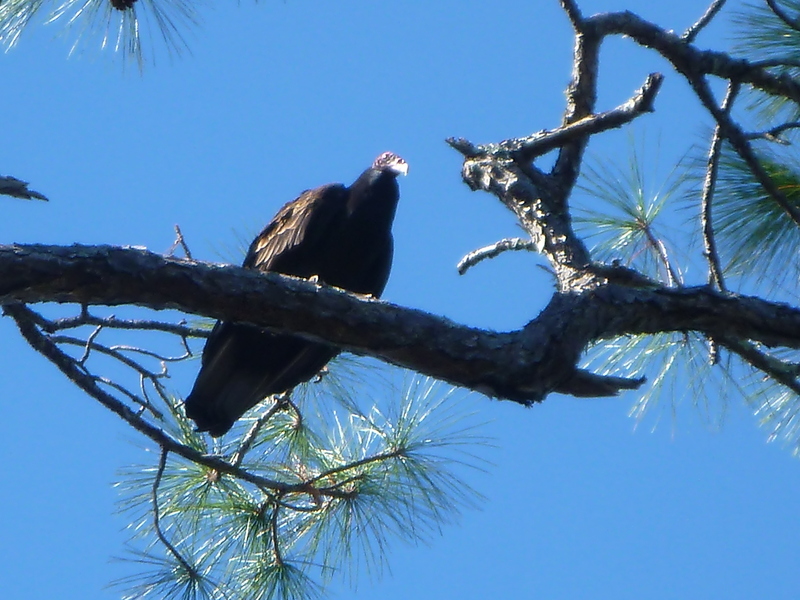 Tates Hell State Forest is now managed as a multi-use site by the Florida Forest Service with cooperation from the Florida Fish and wildlife Conservation Commission. The management goals for the Tates Hell Forest are to restore, protect, and manage Tates Hell ecosystems, while integrating public use. 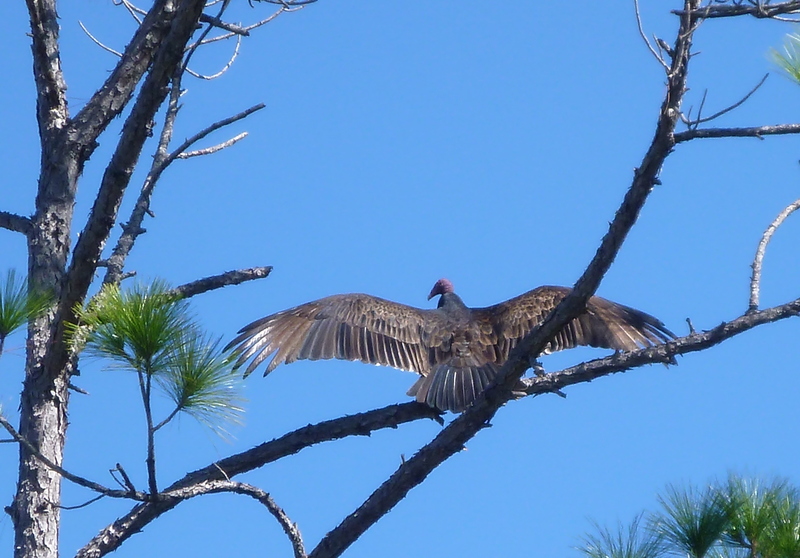 The Florida Forest Service continues to manage a large portion of the property for timber production. 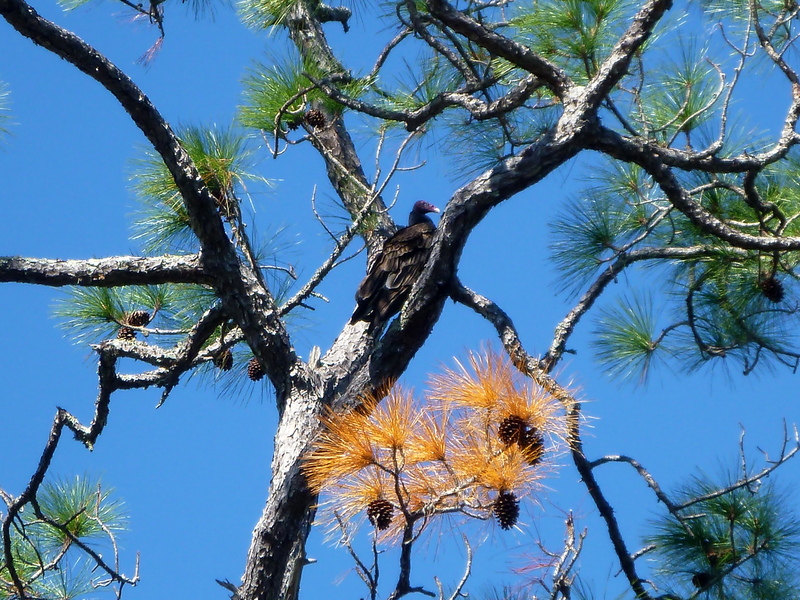 Pine management activities provide an economic benefit and are aimed at improving forest health. The forest is also a designated Wildlife Management Area, with opportunities for hunting, camping, fishing, kayaking, and off-highway vehicle use. Improve the water quality of surface water flows and runoff discharged to East Bay, Apalachicola Bay, and surrounding water. Due to the large size of Tate’s Hell State Forest and the extensive degree of hydrologic impacts, restoration is anticipated to be a gradual process with cumulative benefits accruing as hydrologic restoration and ecosystem managemetn activities are implemented during the next several decades. 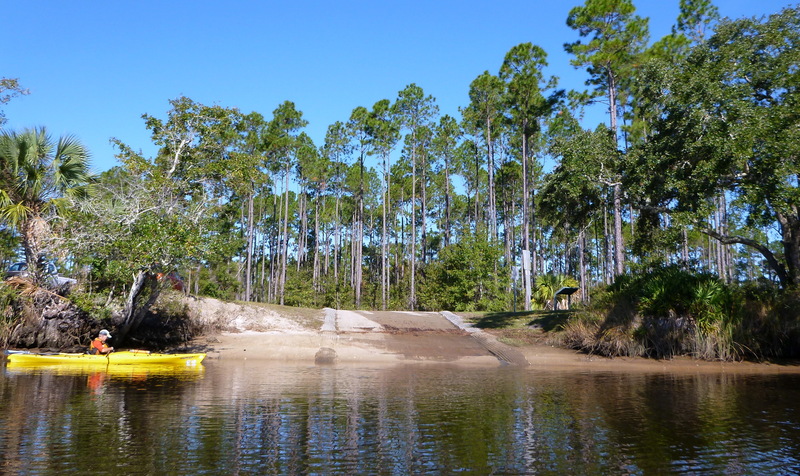 In spring 2009, the Northwest Florida Water Managment District initiated the Whiskey George Basic Hydrologic Restoration Project. This hydrologic restoration project will improve the water quality of the stormwater runoff discharged from the Whiskey George Creek basin into East Bay. 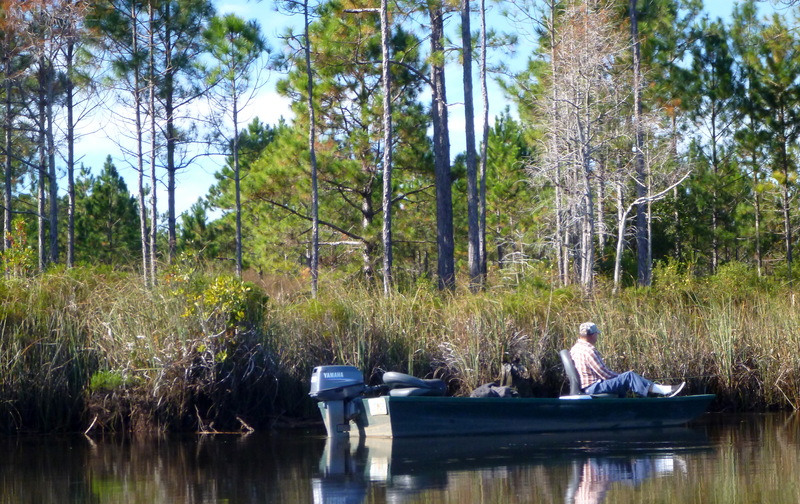 East Bay is an important estuarine system that serves as the primary nursery area for fish and other marine organisms in the Apalachicola By system. This restoration project will also enhance wetland function, restore historic wet savannas, and improve fish and wildlife habitat across 2,900 acres in Tates Hell State Forest. Construction activities being implemented to restore historical drainage patterns include the removal and recontouring of nearly six miles of dirt logging roads and adjacent ditches and the installation of six low water crossings, a ditch plug and several new culverts. 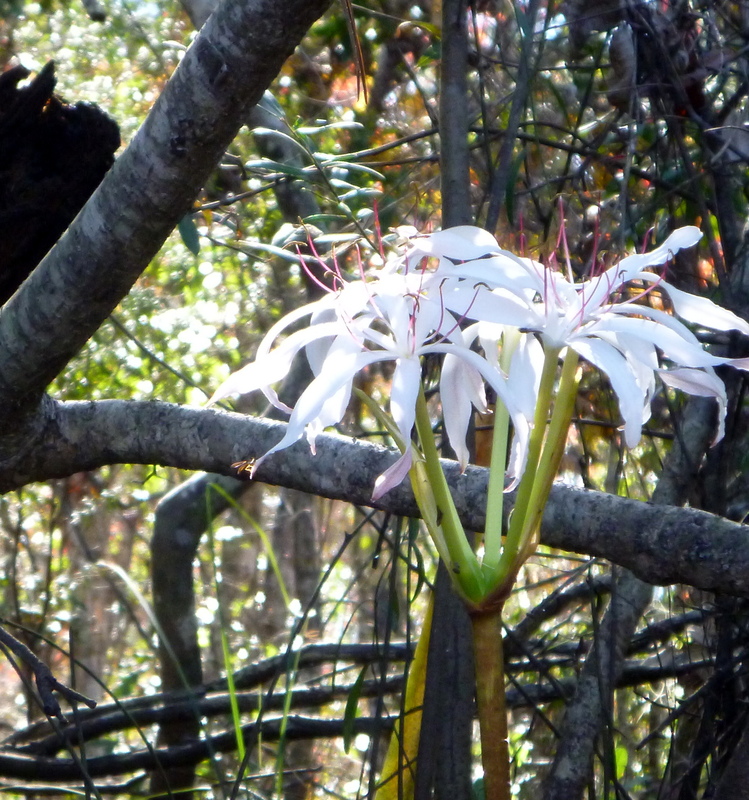 This entry was posted in Apalachicola Bay, Tate's Hell State Forest and tagged Apalachicola Bay, Tate's Hell State Forest on November 20, 2013 by marylynanded.